As September draws to a close (seriously, already? ), it is with great sadness that we must also say goodbye to wine month. But goodbyes are better with wine, and today I’ve got some tips for cooking with wine, a food & wine recipe round-up and a giveaway for a wine essential you must have at your home bar. 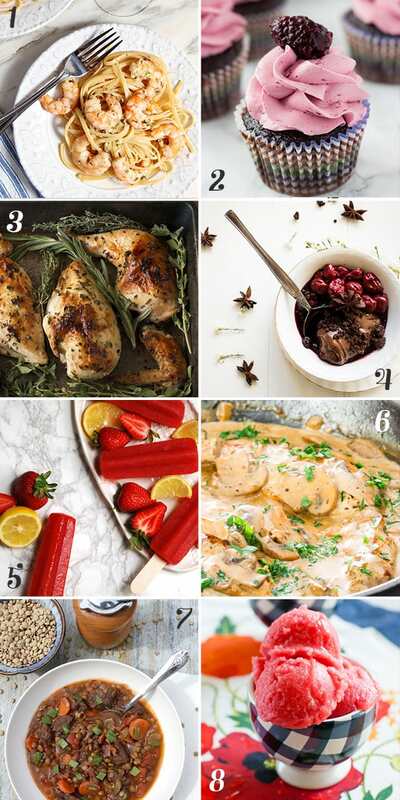 Cooking with wine is surprisingly easy — add a little white here and there for an intensified flavor to a sauce, or go for a chocolate and red pairing. 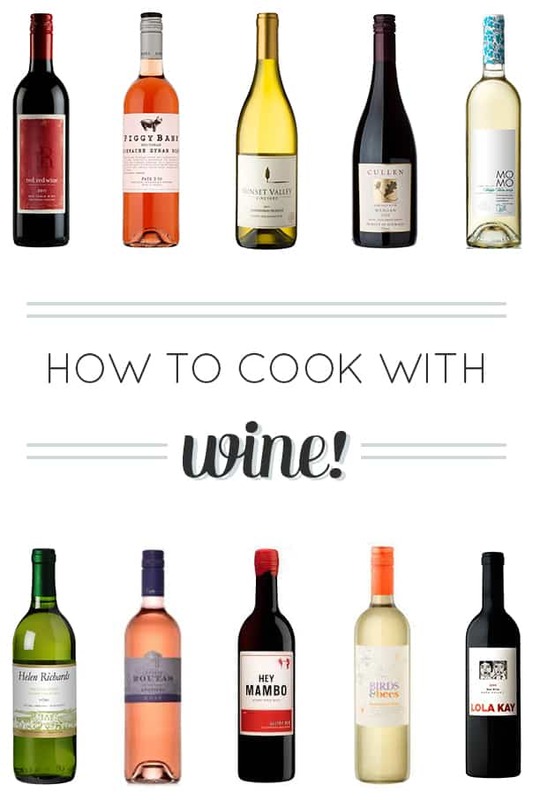 Either way, when you open a bottle to cook with, you might as well drink some, right? Meet Elevie. Elevie has the coolest device that helps you mature wine — in just five minutes. 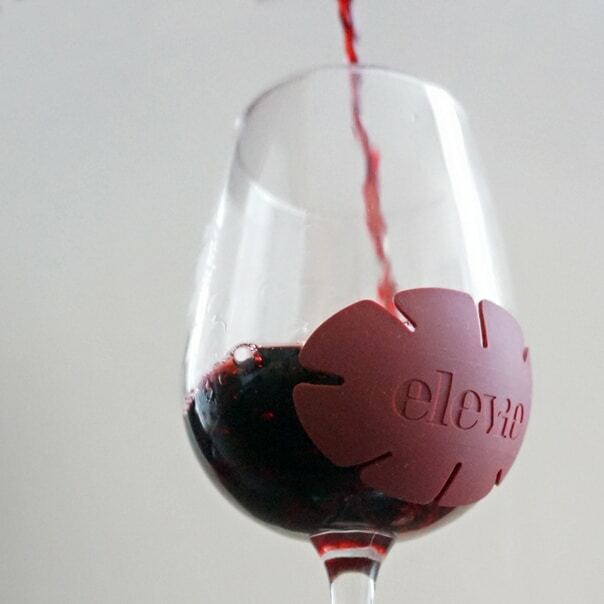 Unlike aerators that depend on oxygen, this reusable adhesive badge is made of silicone, and mixed into the silicone is a proprietary material that stimulates wine molecules using infrared conversion technology. The improvement to the wine is very noticeable! It tastes a lot less dry and less acidic after the Badge is applied.Slap the badge on your wine glass and you’ve got better tasting wine in minutes. It’s amazing! This is so great for less expensive wines that you’d be less likely to savor because they haven’t aged as long as the pricier well-aged bottles. 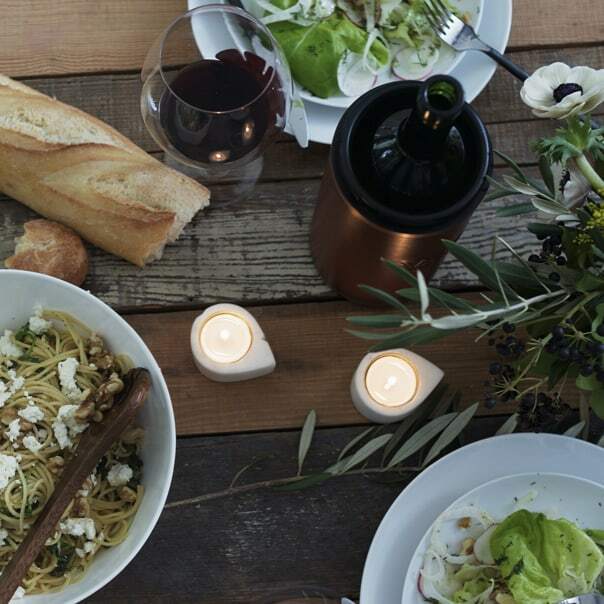 Elevie helps to elevate the flavor, making your wine taste better and making you feel better about your purchase. 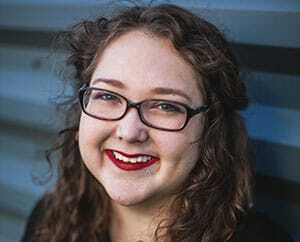 This post is sponsored by Elevie. I only work with brands I know and love, and I thank you for supporting them! 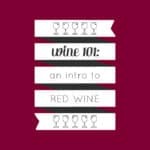 Click through for the wine guide + giveaway! It is best to select a wine to cook with that you would enjoy drinking. Also, you don’t need a premium wine — save those for drinking! Pick one of medium quality as it will leave the same fine flavor as a more expensive bottle. Avoid cooking wines, like ‘cooking sherry,’ as these have added salt and other additives that might not taste good in your dish. You can do better than that! If you don’t know what you like, don’t miss the F+W guides to drinking white wine, red wine, rosé wine and sparkling wine! You won’t need a lot of wine when you cook — most of the alcohol will cook off, leaving behind the wine’s aromas and accenting the flavors of the food. It is great as a marinade ingredient, as a cooking liquid or as a flavoring in a finished dish. Savory dishes: You’ll want to use dry white wines with sauces for poultry, seafood and shellfish. For beef and pork, a red wine is pairs well with marinades and sauces. You can also use wine as a cooking liquid directly in the pot or pan. Sweet dishes: Wine works great in sweet recipes. You can add it to things like sauces or jams, even ice cream in small doses. In the fridge for white wines. For red wines, room temperature is fine. Freezing it: Alcohol has a lower freezing point than water, which means it might not freeze properly. If you’re making a frozen dessert, too much wine might kill the ice. Cooking with it: When you cook with any alcohol, the heat makes the majority of alcohol evaporate. Depending on the cooking method and temperature, the alcohol won’t burn off entirely, but your dish won’t be as potent as drinking straight alcohol. In general, the longer you cook anything with alcohol, the more will evaporate. Want more? 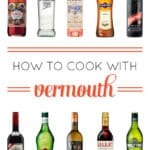 Catch more guides to cooking with sparkling wine and vermouth! And recipes, too! 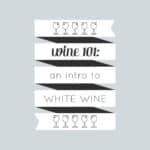 I rounded up eight wine recipes from my favorite blogs! Definitely give these a try, because they look amazing, do they not? And you can enjoy the wine you use in the recipe with your Elevie Wine Maturing Badge to help mature it while you cook! 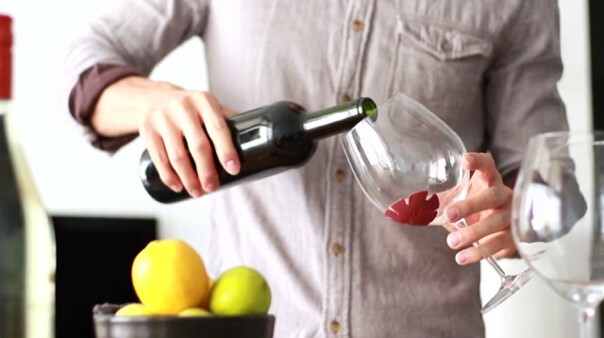 Wait 5 minutes after applying the badge to the outside of the wine glass until it’s ready to taste, so you can do other tasks (like prepping your ingredients) while you wait! Now, how about that giveaway? No purchase is necessary to win. Bonus entry requirements will be verified if selected as the winner, otherwise an alternate winner will be chosen. Giveaway sponsored by Elevie. All opinions written are purely my own. The giveaway is open until Wednesday, Oct. 7, 2015 at 12 p.m. EST. One winner will be chosen at random and emailed within 48 hours. Winners must claim prize within 48 hours of initial contact. The retail value of the prize is $29.99. Open to U.S. residents with a valid shipping address only. Must be 21 years of age as of Sept. 28, 2015. Thanks for sharing my recipe BFF! Roasted Chicken with White Wine Fresh Herbs is an easy weeknight meal that can double as the perfect dinner party meal.